Katrina aid from Cuba? No thanks, says U.S. 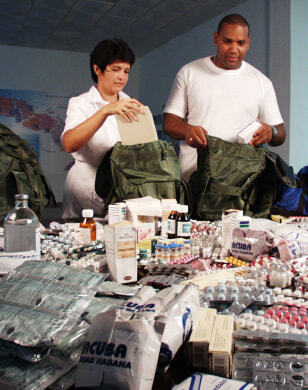 Although it is unlikely they will be going anywhere, Havana doctors Luis Sauchay and Delvis Marta Fernandez prepare their knapsacks of emergency medical supplies for Katrina victims.